Since Mother's Day was yesterday, I thought this would be the perfect time to thank my mom not only for giving birth to me but also for saving my life. In high school, everything feels like the end of the world. And I remember one moment specifically, junior year of high school, where I seriously thought I couldn't go on with my life. I had a crush on a boy in my class and, in December 2004, he made fun of me in front of a large majority of my school. I remember one teacher even took part in the ridiculing. And he was a priest. And, suddenly, the feelings I had tried to keep secret were known by everyone — even people I didn't know. That happened on a Friday, and I remember being terrified to go back to school on Monday. I couldn't see past that one day. My mom is the one who made me snap out of it. She's the one who gave me hope that I had a future past this one day. And she's the one who stopped me from making a rash decision — from deciding on a permanent solution to this only temporary problem. 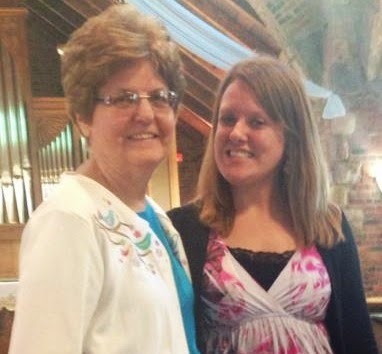 I'm my mom's only child — born after she thought she would never have kids. And I will always remember her sitting at the edge of my bed, with tears in her eyes, saying "You're my angel" and that she couldn't stand it if anything happened to me. Her saying that honestly saved my life because it reminded me that, no matter what other people said about me, there was one person who cared about me and loved me no matter what. And, within a week, people had forgotten about what happened to me and were on to the next gossip. Everyday people end their lives over something that seemed like the end of the world at the time. I know what it feels like because I've been there. But that humiliation doesn't last forever. If I would have given up on life right then, I would have missed out on so much. My life did get so much better. And, remember that, like my mom told me, you are somebody's angel. When you make a rash decision, like ending your life, it doesn't only affect you. You'll ruin the life of someone else as well. Thank God for your mom and YOU chose life, Monica. Look how you are helping others. I' ve been on that edge looking over the mountain twice.